AC Schnitzer Wheel Centre Style Stickers. 50mm or 75mm Pair. BMW 'M' Style Black Background Circular Stickers. 68mm Pair. BMW 'M' Style Silver Background Circular Stickers. 65mm, 70mm, or 75mm Pair. BMW 'M' Wheel Centre Stickers. Set of 4. 50mm. BMW 3.0 or 3.5 CSL Text Outline Cut Vinyl Sticker. 8.5" or 13". BMW 3.0CSi Text Outline Cut Vinyl Sticker. 7.75" or 13". BMW 60's Style Badge & Straight German Flag Stickers. 3" or 5.5" Pair. BMW BAUR Style Circular Stickers. 68mm Pair. BMW Cafe Racer with Pudding Basin Helmet Sticker. 3". BMW Champion Spark Plug HT Cap Cover Badges. 29mm Pair. BMW Fade To Black Urban Style Sticker. 4". 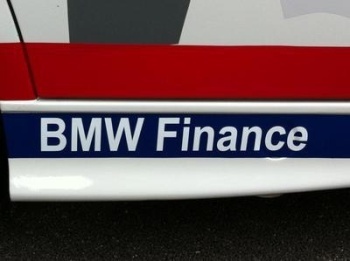 BMW Finance White Cut Text Sticker. 13.5". BMW Germany German Flag Style Stickers. 2" Pair. BMW Gunsight Flag & Scroll Sticker. 4". BMW Happy Chappy Sticker. 6". BMW Isetta Bubble Car Sticker. 5". BMW K1300R Cut Vinyl Bike Sticker. 4.5". BMW Logo Nationality Country ID Plate Sticker. 5". BMW M Power Cut Text Sticker. 18". BMW M Power Cut Text Stickers. 12" Pair. BMW M Power German Tricolour Style Helmet Visor Sunstrip Sticker. 12". BMW M Power Motorsport Colours Helmet Visor Sunstrip Sticker. 12". BMW M Power Number Plate Dealer Logo Cover Stickers. 5.5" Pair. BMW M Sport Shaped Stickers. 4" or 8.5" Pair. 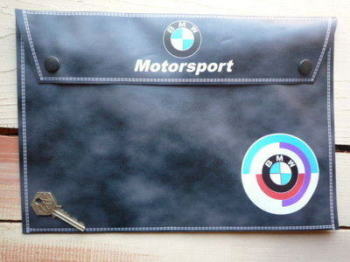 BMW Motorsport Cut Vinyl Style Screentop Sunstrip Visor Decal. 48". 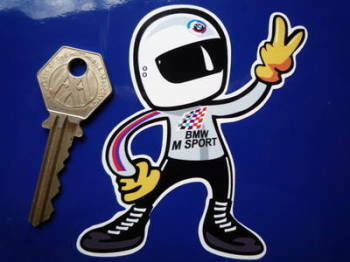 BMW Motorsport Driver 2 Fingered Salute Sticker. 3.5". BMW Motorsport Grey Document Holder/Toolbag. A4. BMW Motorsport Gunsight & Chequered Wavy Flag Stickers. 5" Pair. BMW Motorsport Gunsight & Wavy Flag Blue Style Stickers. 5" Pair. 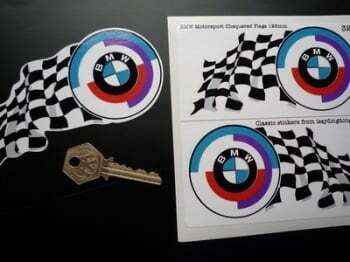 BMW Motorsport Gunsight & Wavy Flag Original Purple Style Stickers. 5" Pair.